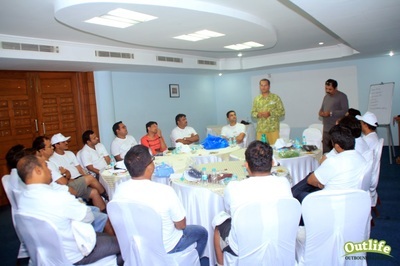 Outbound Leadership Training or Outdoor Leadership development programs include Leadership skills that are imparted through experiential learning methodology to enhance the capacity of an individual to lead well. 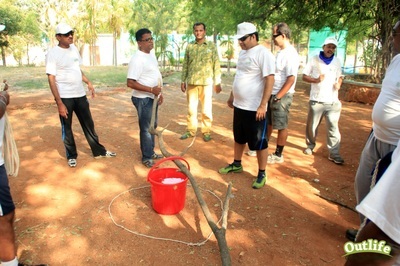 Such programs are often also referred to as outdoor management development. Leaders today faces multitudes of challenges which have moved beyond the confines of offices and operations like the VUCA environments. ​Leaders today are expected to be hands on with not only Strategic and operational leadership, but also people management, execution skills, analytical abilities, and must know how to manage emotions as part of their core leadership abilities. Leadership Training Courses and Books on leadership are useful only to a point of knowing, but are never sufficient on their own. This is where outbound and experiential based leadership development programs helps bridge this "knowing -doing"gap and let executives discover their leadership qualities in an organisational setting. Our Leadership Development Training Programs are broadly classified into four categories. Leadership Development for Middle-level managers training focuses on key responsibility areas of leadership, planning, problem solving, trust building, team development, mentoring, performance management, conflict management for executing organizational plans which comply with the company’s goals and strategy. Leadership Development for Senior and Executive management Training focuses on key responsibility areas of visioning, focus, big picture, leading change, coaching for performance, developing culture, building partnerships and strategy thinking for managing self, team and the organization. Transformational Leadership for Top Management. Training focuses on personal DNA, Identifying genius, developing heightened self awareness, connecting to life’s big picture, Identifying key energy cues, connecting with life purpose and spirituality, enabling others through Coaching and Mentoring. The Leadership Development programs includes a variety of approaches, learning methods and interventions to enhance transformational experience. Experiential learning, adult learning, action learning, peer learning, reflection, practice and application is built in and reinforced in the program design. The Programme is custom designed to the learning needs of the participants and not only provides an insight, and understanding of leadership skills but the application and practice through the behavioral learning simulations. 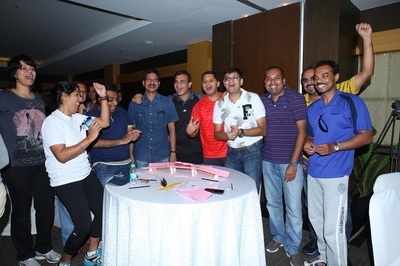 The participants experience a real world simulation of the learning objectives and the relevant aspects of bringing change in managing self, team and the organization. Organizations have people who posses a wealth of skills and talent, yet most have some performance gaps that their leaders struggle with. Our needs assessment methodology reveals the priorities that are most critical in moving your organization ahead of the competition. ​The leadership development programs we recommend for you will be targeted to better equip your leaders to get your organization operate more effectively and efficiently. We take a custom approach to the design and delivery of all our leadership offerings. Our focus with such a approach is to understand the organisations leadership needs and imbibe them into the learning design such that the participants can apply them back at the workplace. The facilitation approach has a participatory, experiential learning platform, where the participants get many opportunities to explore their leadership roles in an organizations context and Leadership Pipeline. The Leadership programs actvities include outbound actvities, interactive sessions, group exercises, management games, roles plays, , psychometric assessments, and debriefing sessions to transfer the learning to the workplace settings. The program Are specially facilitated by senior facilitators with 2 decades of industry experience in a senior management or executive management role and having over a decade of experience in Organisation Development, Training and Facilitation. The leadership program are delivered at good and green offsite locations that have all amenities to and conduct outbound development program all over India. ​​​We currently operate out of Hyderabad, Bangalore, Chennai, Pune, Mumbai, Delhi and Kolkata.